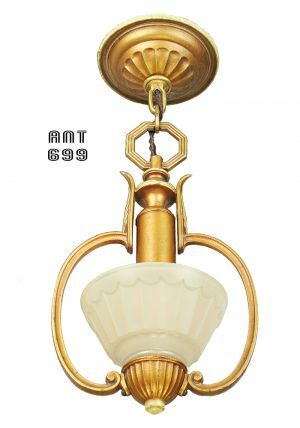 This is a fine example of an Art Deco Streamline Hall light. 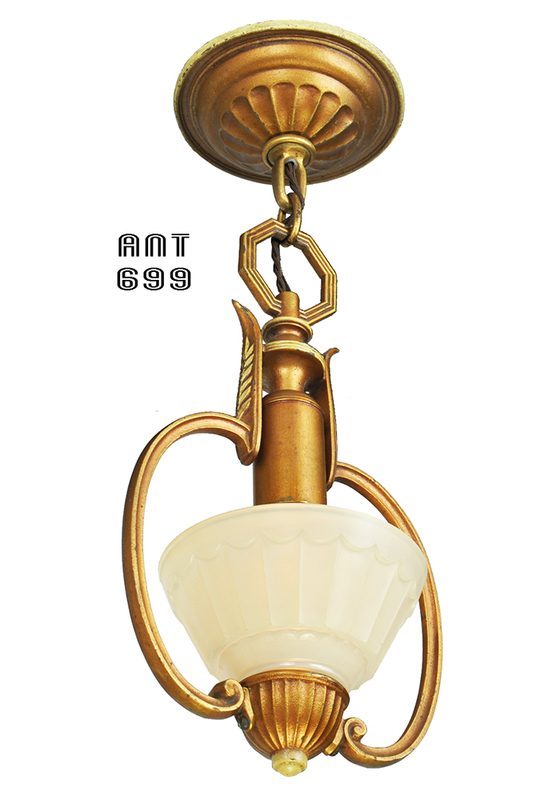 It has its original glass shade, and was made circa 1938. The old gold finish is totally original. The muted white colored shade has panels and other details that match the frame's design so nicely. This pendant could be lengthened by adding more chain links. Please contact us for pricing. Re-wired in our UL shop, and fully capable of a 100 watt bulb. 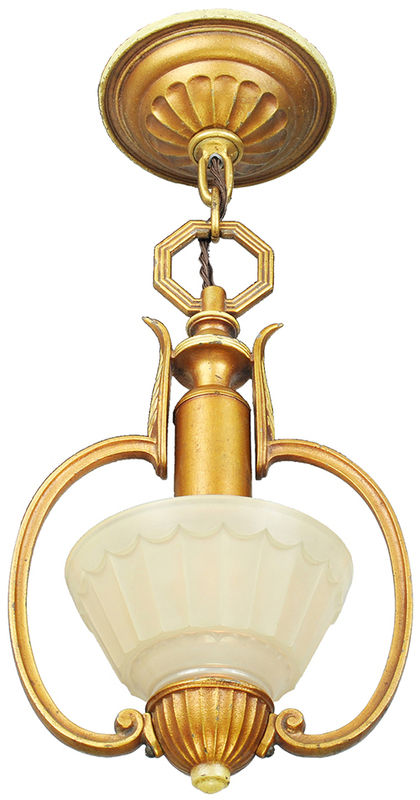 Price: $395.00 for this neat Streamline design Art Deco Hall Light, plus a small shipping charge.